Investor sentiment has improved markedly since Cyril Ramaphosa’s victory as the newly elected ANC president. However, a fundamental change to South Africa’s growth prospects will depend on the implementation of a realistic economic action plan. A re-cap of the events that drove local markets in the fourth quarter of 2017. The best way to describe the rollercoaster ride of the fourth quarter is to look at the movement of the rand, as shown in Figure 1. Following the MTBPS and the subsequent credit downgrade by Standard & Poor’s Global Ratings, the rand weakened substantially and lost around 7% of its value to the middle of November. As a strong showing by Cyril Ramaphosa became evident in the nomination results leading up to the ANC Elective Conference, the rand strengthened. 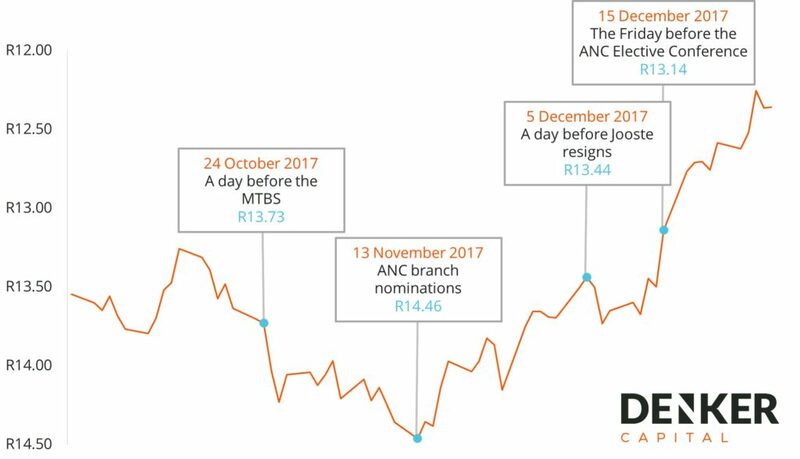 Once it was confirmed that he was the new president of the ANC, the rand recovered 14% from its weakest point in November, closing at R12.38/$ (up 9% for the quarter). 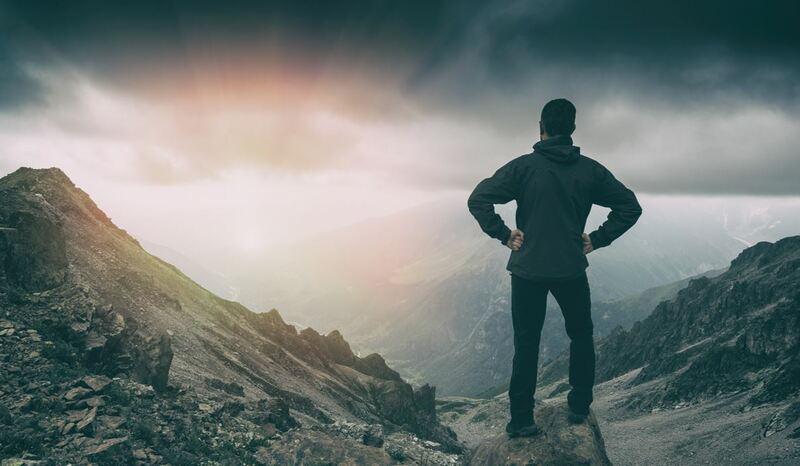 Looking forward – it’s all about which actions government implements in 2018. To strengthen the institutions, he needs to change the people. This includes people in the cabinet as well as those in leadership positions at institutions like the National Prosecuting Authority, SARS and the state-owned enterprises. The second set of actions to watch out for is the National Budget in February 2018. Investors and rating agencies will look for measures in the budget to reduce the deficits over the medium term, while remaining supportive of the economy overall. This will be a very difficult challenge. Paving the way for growth in South Africa. Improved investor sentiment will certainly lead to improved consumer and business confidence in the first part of 2018. Real, fundamental change to the growth prospects of South Africa will however only come about if there are credible actions taken by our leaders around state institutions and the 2018 Budget. A realistic economic plan and the effective implementation thereof will be key for the long-term growth prospects of South Africa. We think that small and mid cap stocks still offer the best opportunities to benefit from an improved outlook for South Africa. We cannot look at South Africa in isolation from the rest of the world. As Madalet mentioned in our previous quarterly newsletter, South Africa decoupled from global growth for the first time in nearly 25 years in the third quarter of 2017. And, as Kokkie highlights in this newsletter, synchronised global growth and the benefits of material tax reform in the US are providing great opportunities for emerging markets. It would be natural for South Africa to benefit from the growth we have seen globally. Nevertheless, this will only happen if our leaders take appropriate actions in the short term, and implement appropriate policies in the longer term. Jan is a portfolio manager. He joined SIM Unconstrained Capital Partners, now Denker Capital, in 2011 to set up and manage the COGNITIO Hedge Fund, which was launched in November 2011. After spending 3 years at Sanlam Asset Management as an equity analyst, Jan co-founded Gryphon Asset Management in 1998. In addition to co-managing the Coris Capital Money Market Fund and ABSA Dividend Income Fund, Jan also founded Gryphon Alternative Investments with the launch of the Gryphon Market Neutral Equity Fund in 2003.